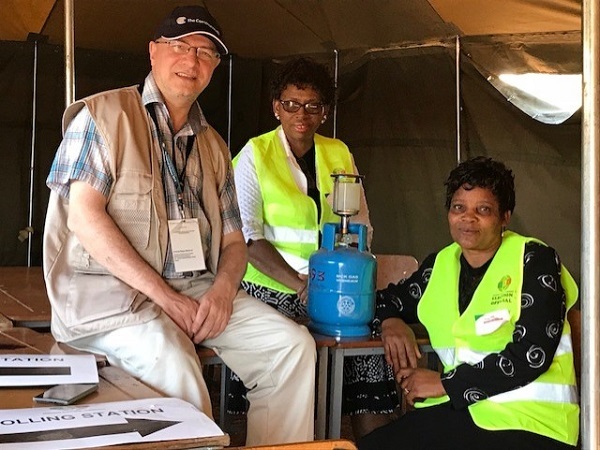 Neuberger-Jesin Professor John Packer visited Zimbabwe for two-and-a-half weeks in July-August as one of only two Canadian members of The Commonwealth Observer Group (COG) for Zimbabwe’s historic post-Mugabe general elections. Zimbabwe withdrew from the Commonwealth in 2003, but in 2018 it expressed an interest in re-joining the association, and requested that the Commonwealth observe its general elections, which took place on July 30. The Commonwealth Secretary-General created a 24-member team of observers, led by John Dramani Mahama, the former president of Ghana. The observation group’s report on the elections will contribute to the Secretary-General’s informal assessment of whether Zimbabwe should be re-admitted to the Commonwealth. Professor Packer was invited to join the observer group because of his considerable expertise in international conflict resolution. Earlier this year he was appointed as the inaugural Neuberger-Jesin Professor of International Conflict Resolution at the University of Ottawa, a professorship created thanks to a generous gift by spouses Edie Neuberger and Norm Jesin, who attended the Faculty of Law, Common Law Section together and graduated in 1981. The results of Zimbabwe’s elections were announced on August 2. However, the result of the presidential election (in favour of incumbent interim-President Emmerson Mnangagwa, who succeeded Robert Mugabe in November of 2017 after the latter’s turbulent forced resignation) has been contested by challenger Nelson Chamisa with the matter now before Zimbabwe’s Constitutional Court. Click here to read more about the initiative to observe Zimbabwe’s elections.